RENATE Network Working Board, representing 20 European countries, recently met in Malta to present and review work being done, plan into the future and exchange views, challenges, difficulties and best practices in relation to supporting victims, education awareness and prevention programmes to end human trafficking. The urgent call of Pope Francis to end human trafficking by 2030, which he called ‘an aberrant plague’ and ‘a modern form of slavery’ was once again the inspiration and impetus for RENATE members to work tirelessly to end its practice. Countries represented included: Albania, Austria, Croatia, Czech Republic, Denmark, France, Germany, Hungary, Ireland, Italy, Lithuania, Malta, Netherlands, Poland, Portugal, Romania, Slovakia, Spain, Ukraine and the United Kingdom. One of the vital pieces of work undertaken by RENATE is the ‘Mapping of Child Trafficking’ across seven European countries. At present it is a ‘work in progress’ with a view to completion early in 2018. In May 2017 UNICEF reported that since 2010 there is a five-fold increase in the global number of refugee and migrant children moving alone. 300,000 unaccompanied and separated children were recorded in some 80 countries in 2015-2016 – an increase from 66,000 in 2010-2011. Not surprisingly some of these children have crossed the borders of the seven European countries under RENATE review. The findings will be important to RENATE’s strategic plan into the future. 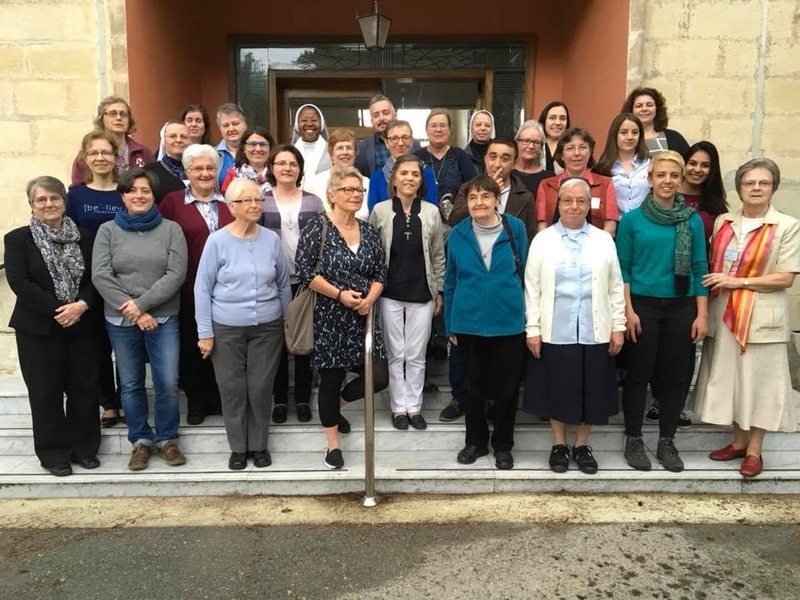 Brigidine Sister Patricia Mulhall csb acted as facilitator to the Working Board and was privileged to hear first-hand accounts of the work being carried out in the various countries, from assisting victims to advocating for systemic change at local, national and EU level. RENATE is making application for a voice on the EU Council to affect this change. Already, it has a place on the EU Civil Society Platform. Funds have been secured so that the Network can carry out its plans for the next few years. The meeting took place at Mount Saint Joseph’s Jesuit Retreat House, Mosta in the centre of the main island of Malta.